What does it mean to be a Christian at work? In this session from the 2013 The Gospel Coalition Faith at Work Conference, author and pastor Tim Keller shares five practical ways biblical theology shapes the way we work. 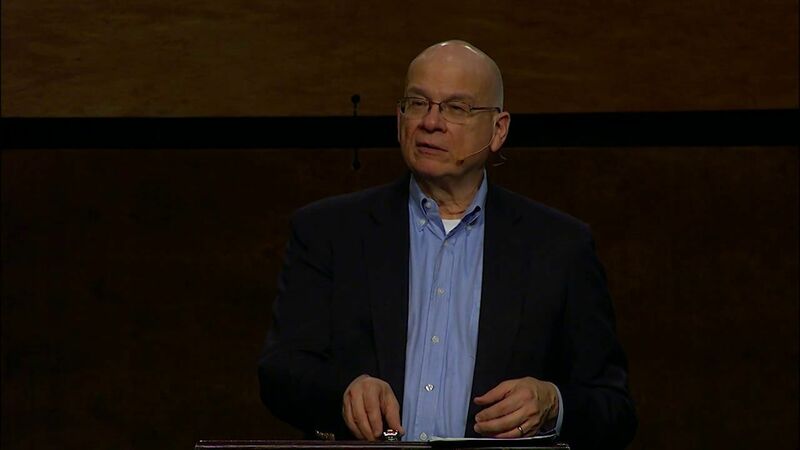 In this 27-minute session from the 2013 TGC Faith at Work Conference, Tim Keller shares five practical ways biblical theology shapes the way we work. Tim is pastor of Redeemer Presbyterian Church in Manhattan. He is co-founder and vice president of The Gospel Coalition and author of numerous books including The Reason for God and Every Good Endeavor. How does your Christian faith influence your work on a daily basis? How does the Christian story [creation, fall, redemption, restoration] help you make sense of your work and give you a grid from which to operate? Faith gives us an inner ballast, without which work could destroy us. Faith gives us a concept of the dignity and worth of all work, without which work could bore us. Faith gives us a moral compass, without which work could corrupt us. Faith gives us a worldview that shapes the character of our work, without which our work could master us. In what ways could your identity and self-worth be wrapped up in your work? If you were to lose your job or suddenly be unable to work, how do you think that would affect your life and faith? Tim said, “People who do the simplest kinds of work are actually the fingers of God…all work is God’s way of caring for His creation.” Do you ever feel like your job lacks purpose? Why? How does this understanding of the worth and dignity of all work change your perspective or convict you? When have you experienced pressure to cut corners and compromise values in your work? How did you respond? When do you feel most frustrated or discouraged in your work? How does your faith give you hope in those times? From plumber to pilot, your work matters. God is using you to feed and protect the world. Be the best at what you do and rest in what Christ has already done. For more information about The Gospel Coalition and how you can attend their next event, click here. Congratulations! You have completed this post.